Following her previous outing, Rosie Huntington-Whiletley stepped out last night(January 23rd) and of course she served up another stylish look which she posted to her instagram page. 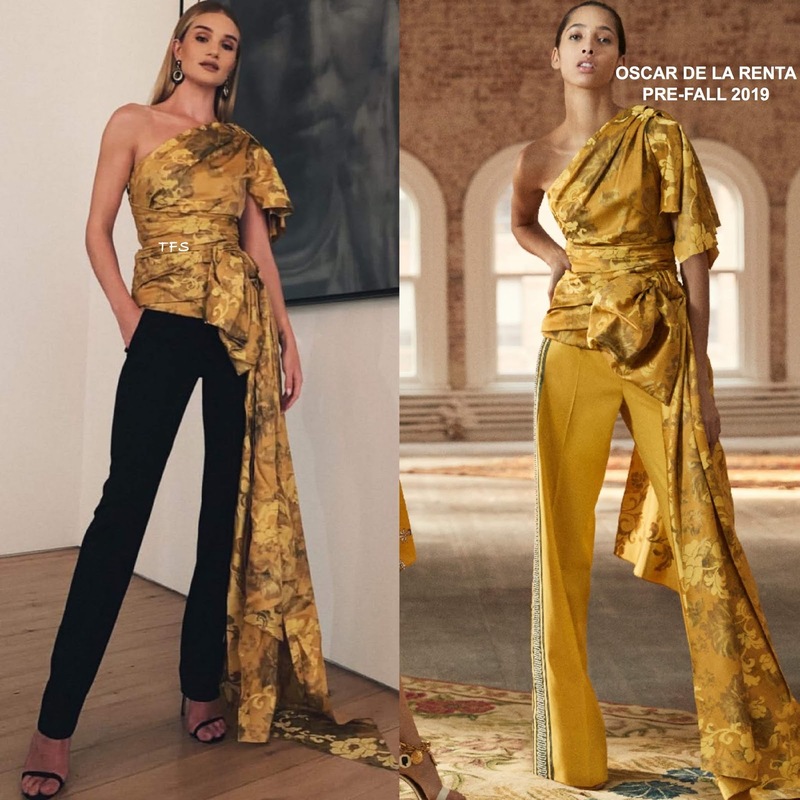 She posed for the gram rocking a OSCAR DE LA RENTA PRE-FALL 2019 gold one-shoulder, draped floral and black trousers, with side pockets which she utilized. While the top works with the matching look book trousers, it works just as well with the black. Accessorized with DAVID WEBB jewelry & JIMMY CHOO sandals, she finished up with straight off-the-shoulders tresses. Are you feeling Rosie's instagram on this occasion?